Regardless of whether you are a professional or a home cook, leaving your hands unprotected when working in the kitchen can quickly lead to severe burns or scalding. The Coolskin Heat Resistant Oven Mitts 375 MTX feature a duplex-knitted structure that combines high levels of heat resistance with optimal hand comfort. 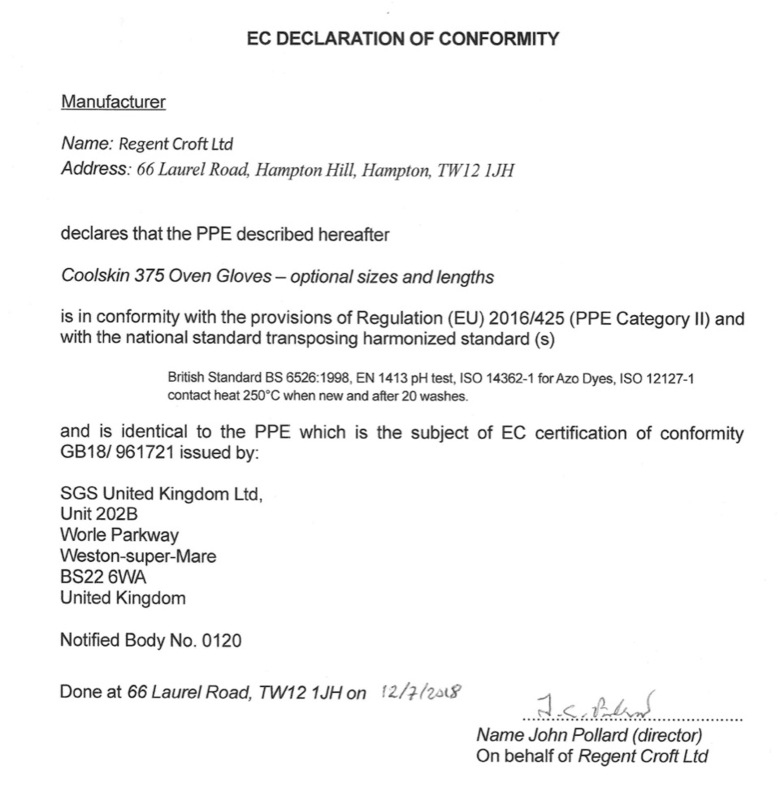 The Coolskin Heat Resistant Oven Mitts have been tested in accordance with EU standards to ensure high levels of performance. These gloves are confirmed to protect against contact heat up to 250°C. Please note that while the 375 MTX Mittens are well suited for dealing with high temperatures, they should not be used for protection against steam or hot liquid spillages. If you are looking for gloves for these needs, please see the Coolskin Steam Oven Gloves. Providing a high level of resistance against heat and flames, the 375 Mittens feature Nomex fibre. While this provides a high level of protection, it does so without having to compromise on the level of comfort. 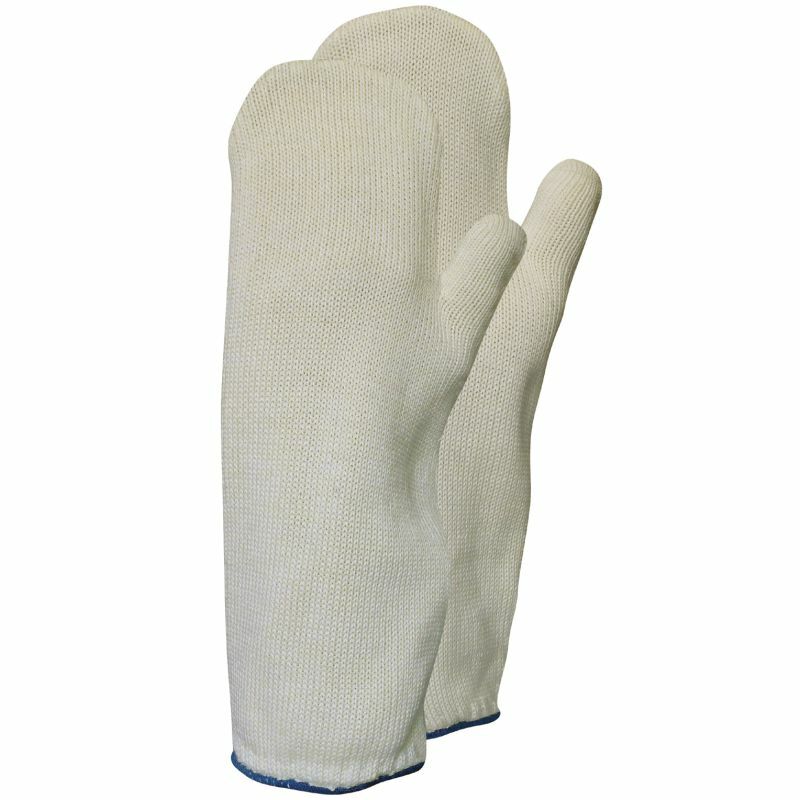 The Coolskin Heat-Resistant Oven Mitts feature a duplex-knitted design, which creates a "glove within a glove" feel. The outer layer of the gloves provides the heat resistance (up to 250°C) while the inner layer improves the comfort and fit of the mitts. The Coolskin 375 Mitts are available in a single size that should suit most users. The fit is designed to be quite loose, allowing for speedy donning and doffing of the gloves. Each mitten is approximately 30cm in length.